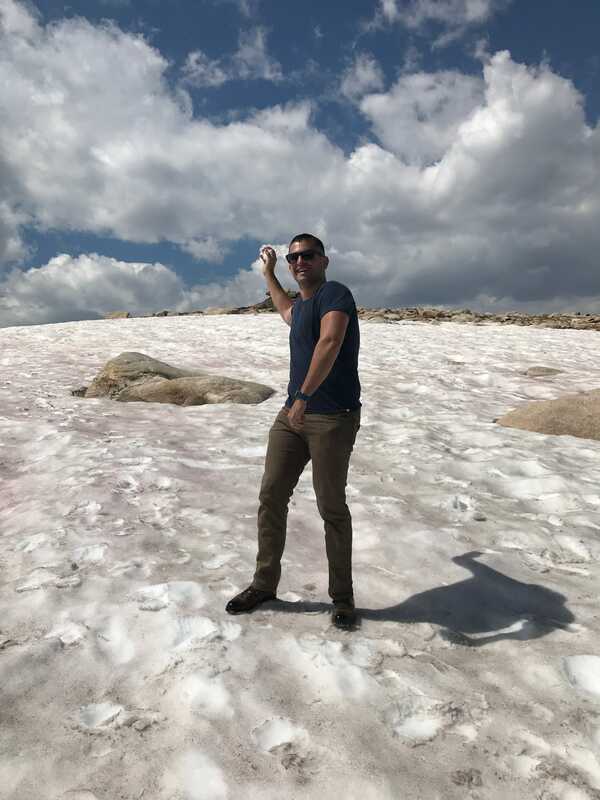 Josh Barro/Business InsiderThe author near the summit of Beartooth Pass, in Wyoming, on August 17. I just got back from a five-day trip to Wyoming, where I visited Yellowstone and Grand Teton national parks and watched the total solar eclipse from Casper. 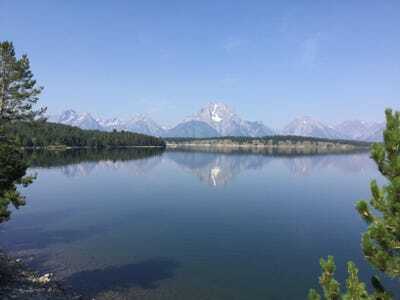 Wyoming’s national parks are stunningly beautiful, and the eclipse was awesome. But my favourite thing about the trip may have been the spotty mobile phone service, which made it impossible for me to keep close tabs on the news, or on social media about the news. I haven’t felt so relaxed in two years. A lot of us are allowing politics to consume our lives and making ourselves miserable in the process. At least I get paid for it. What’s your excuse? Having returned from the wilderness, my advice to you is this: Give yourself permission to think less often about Donald Trump and to argue less often about politics. Think less about matters beyond your control and more about what you can do to bring yourself contentment. It will make you happier, I think. When I tell people to worry less about politics, I usually get responses about how this is an easy thing for a privileged white man to say. The people making this admonition are often quite privileged themselves. The ability to maintain a state of permanent panic about the president can itself be a mark of privilege. People can direct their primary emotional energies toward worrying about national politics when they don’t have intense material concerns in their personal lives — and when they believe national politics has high stakes for the cultural power people like them can wield. We see the privilege of panic manifesting in the political “hobbyism” the political scientist Eitan Hersh describes among the middle and upper classes, especially on the left. And we see it in the turnout differentials in special elections: The energy of the #Resistance is driving superior turnout among college-educated Democrats and independents, but not among working-class Democrats, white or black. A higher aggregate level of worry probably is good for turnout. But allowing politics to make you personally miserable does nothing to elect Democrats or contain the president. If you inventory the time you spend on political activities — this includes time spent arguing with people on Twitter and Facebook — how much is going toward actions that can affect political outcomes, and how much is a recreational activity you aren’t even enjoying? You have no moral obligation to engage in the latter. 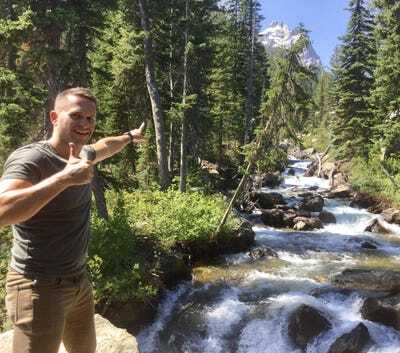 Josh Barro/Business InsiderOn the trail to Hidden Falls in Grand Teton National Park. Over the past couple of years, I have discovered the enjoyable luxury of declining to participate in daily outrage stories. Sometimes I smile inwardly, knowing that I disagree with strongly held opinions on the internet and that their holders cannot force me to engage. And sometimes I don’t form an opinion at all. To give a current example, I don’t care how much it costs the Secret Service to protect the president’s family. I guess maybe the Trump kids should travel abroad less, but the cost isn’t that high in the scheme of things. You will not get me to have an argument about it. Since all of culture is political now, there is pressure for politically engaged people to take stands even on controversies far afield from public policy. I remind myself that this, too, is optional. I mostly succeed at not caring about what Lena Dunham is up to. I have no view on whether it was appropriate to shoot Harambe. Having so thoroughly enjoyed my time in the deep woods where my phone could not provide alerts, I’ve resolved to form and express even fewer opinions about hot-button controversies when doing so is not a professional necessity. You should feel free to reserve your political outrage for issues that matter and to enjoy sports or entertainment or food — or whatever nonpolitical hobbies you’ll have more time to engage with when you spend less time worrying about Trump — without thinking about their political implications at all. You don’t owe it to anyone else to fret or argue or posture. You can even enjoy athletes and pop stars with strong political opinions that differ from yours. They may be rich and famous, but one bit of power you have over them is the freedom to disregard their dumb opinions and just focus on the thing that made them famous in the first place. I think a lot of the cultural divides in America could be bridged if people on the right and left remembered that, except for actual political figures, famous people’s political opinions only matter if you allow them to matter to you. Or go spend some time in the woods, where the stupid opinions of famous people or your relatives can’t even reach you. 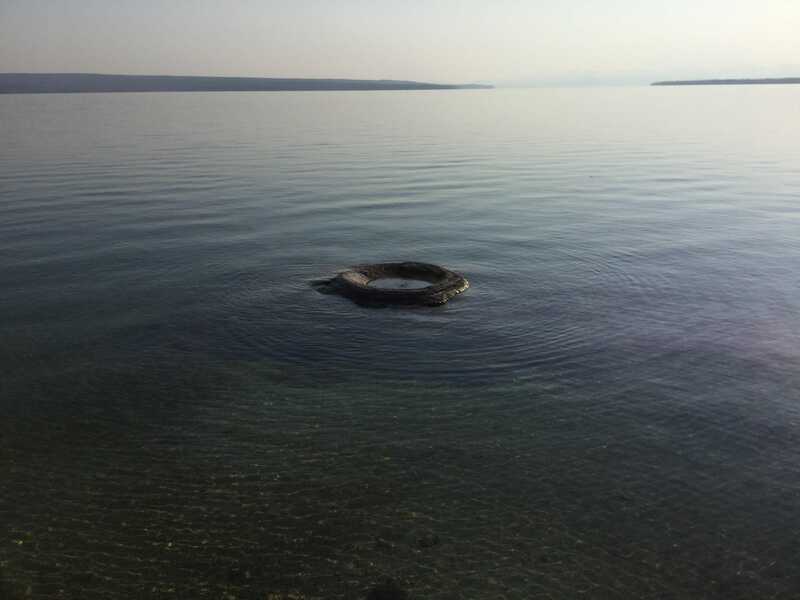 Josh Barro/Business InsiderJackson Lake in Grand Teton National Park. I think a reason I’ve maintained relative sanity during this administration is a healthy perspective on the importance of public policy. There are a lot of problems Americans can fix on their own, and there are a lot of other problems the government is unlikely to fix, no matter who is elected. I’ve written before about the tail risks of Trump, and his presidency poses a small but alarming risk of terrible outcomes like nuclear exchange and great-power war. But assuming he does not get us all killed, the policy effects of his administration are mostly looking very modest, except for increased enforcement against illegal immigration. Besides, policy change is probably less important than you think. The federal government is not as good at fixing problems as liberals like to believe, nor as prone to creating them as conservatives fear. House Speaker Paul Ryan says America has the worst tax system in the advanced world. Yet somehow we have the highest per-capita gross domestic product of any large country. This partly reflects that Ryan is overselling the horrors of our tax code. But it also reflects that tax policy is less important for investment decisions and economic growth than policymakers like to claim. The Affordable Care Act is probably saving tens of thousands of lives a year — an achievement, but a smaller one than its architects had hoped. Earlier this year, the public-policy professor Mark Kleiman laid out the strategies to curb problem drinking that he thinks are reducing all-cause mortality in South Dakota by 4% a year. If replicated nationally, this life-saving effect could be several times that of the ACA. But the most effective actions to prolong life in America lie with individual Americans: exercising more, eating better, not drinking to excess, and managing chronic diseases in accordance with their doctors’ instructions. About 40% of patients prescribed blood-pressure medication after a heart attack don’t take it as prescribed. Improving adherence to healthcare — even among people who have good health insurance — is a public health policy challenge, but it’s also a private one addressable by individual patients. One reason people like to focus so much on public policy is that it provides a distraction from the things we could be doing to improve our own lives but aren’t — it allows us to shift the conversation to what other people should do for us. In the long run, won’t you do more to make yourself happy by taking your happiness into your own hands and worrying about the things you can directly control? 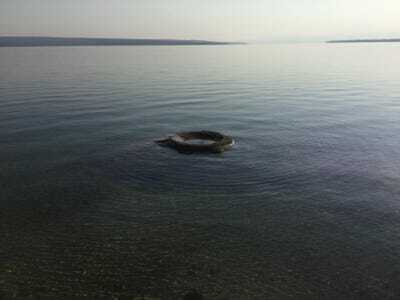 Josh Barro/Business InsiderBig Cone, a geyser cone in the West Thumb Geyser Basin, sticking up from Yellowstone Lake. In 1986, 36% of Yellowstone National Park burned in a particularly devastating fire. There are vast hillsides covered in dead trunks with short, young trees growing among them. This is a natural part of the ecosystem. Fires allow light to get to the forest floor so a more diverse variety of plant life can thrive, rather than just the tall lodgepole pines. Fires on this scale happen about every 300 years — they were happening long before Trump was born, and they will happen long after he is dead. 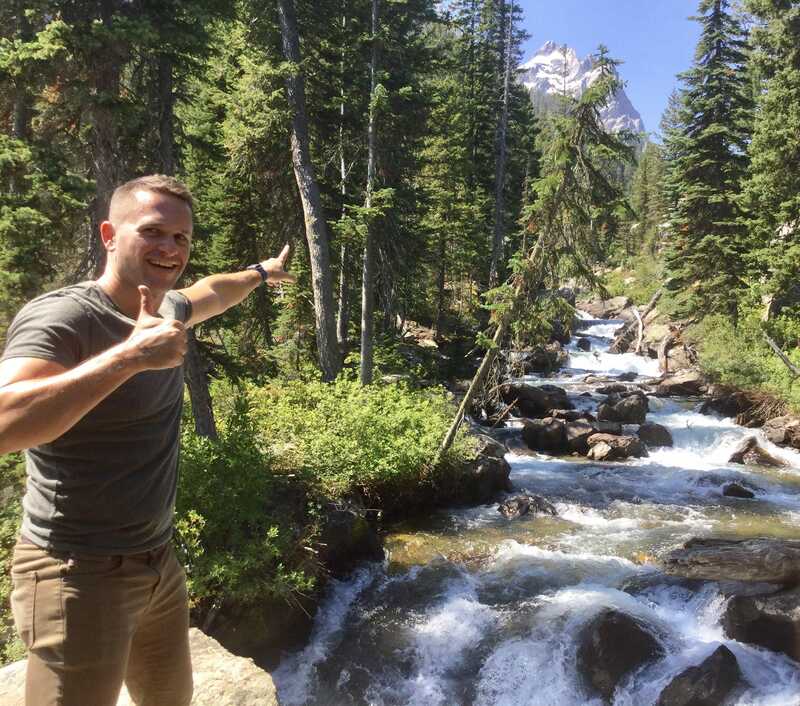 A visit to Yellowstone is a good reminder of how much bigger than us nature is, and how we might as well find a way to enjoy our time on earth while we are here. This is the part of the article that will prompt several of you to send me long and agitated emails about climate change. Yes, Yellowstone is getting hotter, and that will mean an undesirable increase in forest fires. But Trump’s short administration will have fewer effects on this long-range issue than you think, in part because the Paris climate agreement is less important than you think, and global trends slowing the growth of carbon emissions are largely outside the control of the United States government. More to the point, the lecturing email you’re about to send me won’t have any effect on global temperatures at all, except to the extent you’re using fossil fuels to compose it. Instead of worrying so much about what the government is or isn’t doing, why not take a moment to sit back, feel awe at the things neither you nor the president can change, disregard the noise, and breathe. While I was hiking up Mount Washburn on Friday, the elevation made it possible for my mobile phone to pick up service briefly, and I got a push alert telling me Steve Bannon had been fired. But I didn’t have enough data service to load the article. So I put my phone back in my pocket, smiled, and kept hiking up the mountain. I needed the break. You probably need one, too.